Are you interested in working with Choose a Challenge? We are always looking to work with new and exciting charities who are open to increasing their fundraising revenue through international challenge events. Take a look at some of our frequently asked questions below, and get in touch if you'd like to build a partnership! What does a partnership actually involve? Typically, we work with a set group of partner charities year on year, to ensure that our high standards are achieved across the board. We work with our charities to create meaningful, lasting relationships. 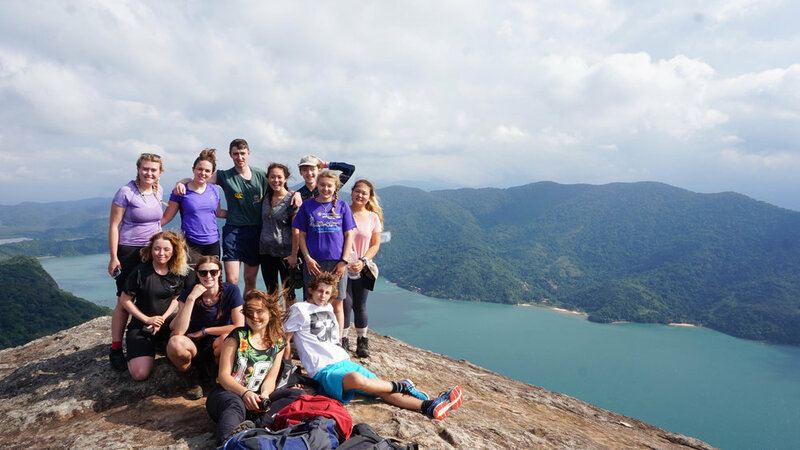 By giving our students the experience of a lifetime, we encourage them to become lifelong supporters of their charity, and avid adventure-seekers. How do the partnerships work? We run the recruitment and the adventures. You support your fundraisers to take on the challenge of a lifetime. Trip costs are covered by the participants' registration fees and 50% of the minimum fundraising target, and that's about it. But seriously... It's not a long, complicated or expensive process and if you are passionate about your cause, experienced in event-led fundraising and work for a cause that you think students would love to support, we'd love to hear from you - just get in touch. What sort of commitment does this involve? Working with charities, we understand that often fundraisers are pushed to meet expanding targets, and staff time is often the most valuable commodity. So we take a lot of the hard work out of managing a challenge team. Our team holds expertise in marketing and participant care and naturally takes on full liability for the challenge events themselves. We support our participants to a high standard throughout the process, however our most successful partners are those who actively engage with their student supporters to expand their knowledge about the cause and inspire them to become a part of the family. Do we already need to run our own Peer-to-Peer fundraising events? If you already have an established peer-to-peer support network within your charity, you will have all the skills and experience to fit our participants seamlessly into your current supporter care offering. If not, don't worry! As long as you are passionate about providing quality care to our students we'll work with you to develop your P2P offering over the partnership. Do we need to work in the student sector already, in order to be a partner? Naturally, having pre-established links with students is a bonus, but the elves as Choose a Challenge HQ constantly work away at securing new relationships across the country and further afield. It is much more important for us that your brand and cause is one that students will be able to relate to. How ethical are your challenges? In an ideal world, every penny raised for charity would go towards the cause. However, this is never going to be a realistic aim, with staff to pay, initiatives to fund and advertising bills to foot. Our challenges raise millions for charities year on year and motivate thousands of new fundraisers each year. We very clearly market our challenges as 50:50 fundraising and costs. We have no hidden fees or charges and pride ourselves on holding an ethical and transparent travel and sales policy when it comes to working with our suppliers and clients. We are proud members of both the Institute of Fundraising and the Tourism Concerns Ethical Tour Operator Group. Ready to go? Click the button below to take your first steps in applying to partner with Choose a Challenge.